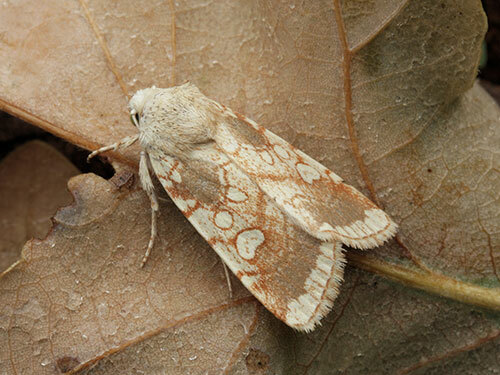 The Heart Moth has only been recorded in Sussex three times this century, but have we been looking for it? Heart Moth is a UK Red Data Book species (RDB3) and also UK BAP (Section 41 in the Natural Environment and Rural Communities Act 2006). It is one of the 30 top priority moth species for conservation action in South East England based upon Butterfly Conservation’s Regional Action Plan 2016-2025, and it is top 10 priority in Sussex. 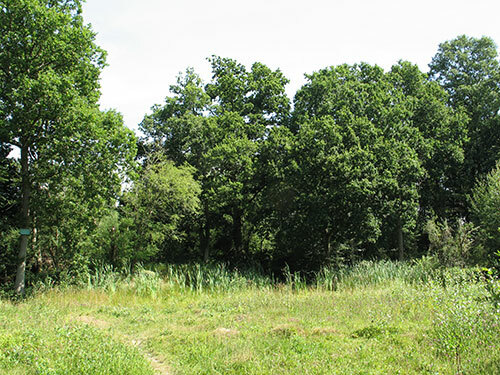 The required habitat is described the habitat as “lightly wooded commons and parkland with widely spaced Pedunculate Oaks, usually with other lower vegetation” (Waring and Townsend). Openly spaced trees on woodland rides or edges are also used. The only known UK strongholds are Windsor Great Park and Ashtead Common, near Epsom. However, we seem to have plenty of the required habitat in Sussex, especially in the Weald. 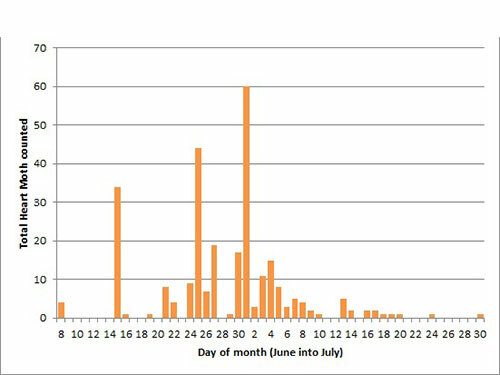 The Heart Moth recorded in Sussex in recent years (all as singles, and all in the north of the county) have all be at garden moth traps (Broadbridge, Sharpthorne and Crawley Down). The moth is known to be rather sedentary, not flying far from its habitat, so these garden sightings suggest there might be hitherto unidentified resident colonies nearby. The core flight period is late June and early July. 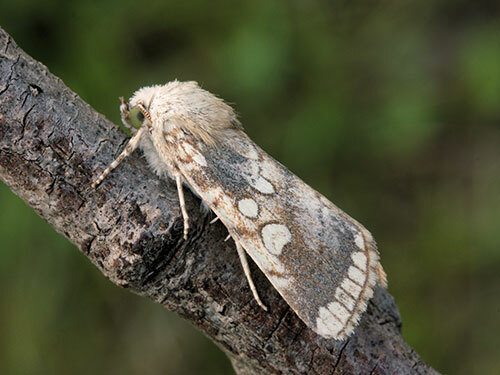 The moth is attracted to light and occasionally to sugar, although generally flies very late at night (after 1am). Please let the SxBRC know if you would like to look for this moth and certainly let us know if you find it.